There have been calls by officials to remove the Costa Concordia wreckage now before it causes anymore harm to the Italian island of Giglio. Italian Emergency Commissioner Franco Gabrielli is the official stating that the ship should be towed away as soon as possible to the nearest port of Poimbino in Tuscany for dismantling. 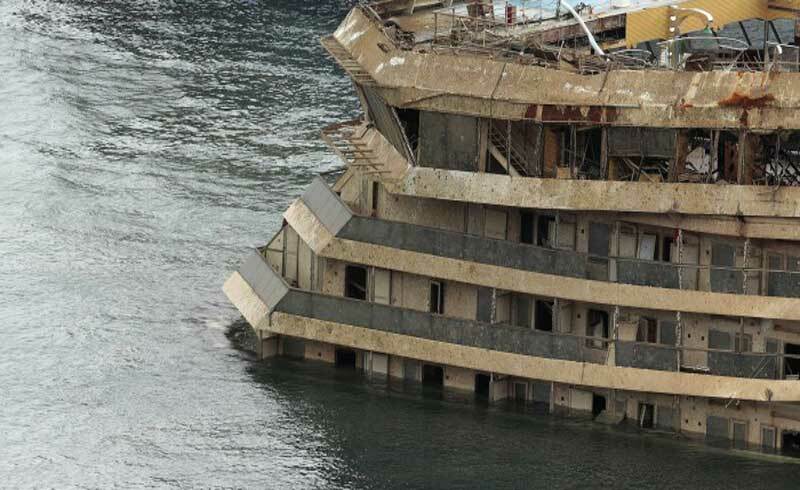 The Costa Concordia was originally planned to be towed to Genoa, Italy but a meeting held on Wednesday between the involved companies failed to come to a consensus. According to local reports, Costa Cruises, Tuscany regional government and the province of Grosetto all voted against dismantling the ship in Genoa. Towing the Costa Concordia to Genoa could possible cause many issues due to its distance and weather. The ship wreckage would take up to a week to get to Genoa which would be a huge task. Other parties involved including the Island of Giglio did vote to remove the ship to Genoa. Residents of the small island have been trying to get the ship wreckage off the island ever since the tragedy occurred. The removal of Costa Concordia is expected to be ready within three weeks once all engineers have completed fitting the ship Sonsons. The re-floating of the huge vessel will then begin in mid July but the final destination has yet to be made clear. The Costa Concordia has been stuck on rocks on the Italian island of Giglio since January 2012 where 32 people had died. In 2013 the ship was put back into it’s up right position known as the Parbuckling project and was the largest ever of its kind. Meanwhile the trial of the Costa Concordia captain Fransico Scettino is still on going.